You have chosen a date and now it is time to put together your wedding party. The choices of who will be part of your special day is an important decision. However, this process does not have to be stressful. The size and style of your wedding is a great place to start when deciding on the number of people you will like to have in your wedding party. Traditionally you will have one bridesmaid and groomsman to every fifty guest. This however, should be used as a guide and do not feel that you must stick to this no matter what. Your budget is another important factor to consider; you will need to decide who will pay for bridesmaid bouquets, groomsmen boutonnieres, attire, and other wedding needs. Make a list of your possible candidates and include your sisters, cousins, and nieces, followed by best friends, childhood friends, classmates, collage roommates, and other close friends. You can include individuals from both sides when forming your list of candidates. Reserve this list for persons who you really want to be part of your wedding day, not those who you feel obligated to include. The people with whom you feel closest may or may not include family members. A great way to work through your list of candidates will be to identify those who will most likely be available for your wedding day, and who lives out of town. Other important criteria to consider are who you really want to be part of your wedding, and who can meet the roles and responsibilities. The group of individuals who you select should help make your wedding day fun and help relieve some of the stress; not add to it. People who have the time to assist with various tasks can be helpful with moving things along smoothly. You can include children if you like, but you do not have to. The role of maid or matron (married woman) of honour is generally reserved for sisters, other family members and close friends. If you are having a difficult time choosing between two people, there is no rule that says you cannot ask them both. The maid or matron of honour will generally plan the shower and bachelorette party. She will also be responsible for assisting the bridesmaids with their roles and helping to coordinate bridesmaids' activities. 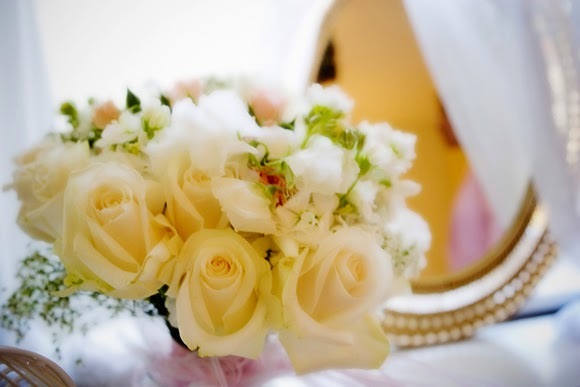 On the wedding day, she will assist the bride in getting dressed, hold the bride's bouquet during the ceremony and witness the signing of the marriage certificate. She may give a toast at the rehearsal dinner and reception. She can also be the voice of reason, for helping to make decisions. The individuals you choose can be a combination of family members and close friends. You can also consider members of the groom's family, such as his sister, niece or cousin. You can also choose teenagers as junior bridesmaids. Select individuals who you want to have in your wedding party and those who themselves want to be part of your wedding. Just because someone chooses you for their wedding does not mean you need to choose them for your wedding. Choices made solely based on a feeling of obligation may not be the best decisions. Also, do not include drama queens. The bridesmaids will assist the maid of honour to plan the shower and the bachelorette party. They will also attend other wedding festivities and assist the bride with other tasks. This is an opportunity to include an adorable little one in your wedding. Generally the flower girl is between the ages of three to six years old. This may be a niece, godchild, or your own child. Her role will be to scatter flower petals as she walks down the aisle preceding the bride. When she gets to the altar her role is finished and it may be best to have her seated with her parents. If it is your own child, she may stand along with your bridesmaids, or be seated with another family member. Working with children can be a challenge, so have patience, and be prepared for the possibility of crying and your flower girl not fulfilling her role all on her own. Ask parents if they think the child will be well suited for the role. This role is traditionally a brother, however it may be a best friend or someone that is important to the groom. Think of him as the designated driver that will make it to the wedding on time and potentially make sure the groom gets there on time too. He may work together with the maid of honour to plan a "Jack and Jill" or wedding shower and may plan a bachelor party. He can assist the groom to select the men's attire and make sure that everyone gets fitted. He will keep track of the wedding rings, and stand by the groom's side during the ceremony. Along with the maid of honour he will also sign the marriage certificate. At the reception he will propose the first toast and together with the maid of honour, secure wedding gifts and transport these to there destination after the party. Old friends, brothers of the bride and groom, and cousins are all great candidates for groomsmen. They may be required to assist with seating guest, assisting the best man with the bachelor part and other wedding tasks. You can choose a nephew, godchild or your own child for this role. Like with the flower girl, you will also want to be prepared when including young children in your wedding. Remember to secure the ring onto whatever they will be carrying. He may accompany the flower girl or walk alone preceding the bride. When he arrives at the altar, he will pass the rings over to the best man and then be seated with his parents. Choose a young boy that is old enough not to use your ring pillow as a projectile. Depending on the age of the child, you may also want to use decoys, rather than using the actual rings. Provide each wedding party candidate with the option to gracefully decline your invitation. Once you have put together your confirmed wedding party, arrange to meet with everyone and explain what you will like them to do. This is also a great time to let them all know the type of event you are planning. You can use this as an opportunity to identify each person's availability during the planning of your wedding. Be clear about your expectations prior to and on the day of your wedding. The bridesmaids and groomsmen generally pay for their own attire, so keep this in mind when you make your selection. If they are choosing for themselves, make sure they know which colours and styles will work best for the style of wedding your are planning. If you do not have a large number of candidates for your wedding party, do not feel that you have to invite people, just to make up bodies. For those who have many people to choose from, you cannot include everyone that you may like to in your wedding party. There are however, other ways you can include these people in your wedding and let them know the special role they play in your life. It is my opinion that you can also choose someone of a different gender to stand by your side; such as a brother in place of a maid of honour and a sister instead of a best man. On your wedding day, you want to be surrounded by the individuals who bring joy to your life and those who have been supportive to you as an individual and as a couple.